Plant Pack Fundamentals is an excellent pack for beginning aquatic gardeners. It contains Flourish, Flourish Iron, and Flourish Excel. Flourite Black™ is a specially fracted, stable porous clay gravel for the natural planted aquarium. Its appearance is best suited to planted aquaria, but may be used in any aquarium environment. Flourite Red™ is a specially fracted, stable porous clay gravel for the natural planted aquarium. Its appearance is best suited to planted aquaria, but may be used in any aquarium environment. Acid Buffer™ is a non-phosphate buffer to lower pH and buffer with Alkaline Buffer™. Alkaline Buffer™ is a non-phosphate buffer designed to raise pH and alkalinity (KH) and buffer with Acid Buffer™. Aquavitro® premium surgical stainless steel Curved Shears are designed for use in both freshwater and marine aquariums. 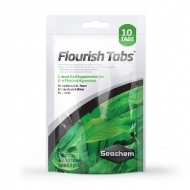 These are ideal for the regular maintenance of aquatic plants, particularly when trimming leaves and stems closer to the aquarium bed where the steep angle is mitigated by the curve of the shears. In marine and reef aquaria these work very well in trimming soft coral with ease to maintain shape, spacing or to produce frags. 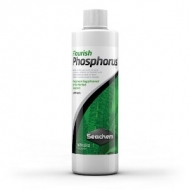 Flourish Excel is a source of bioavailable organic carbon. All plants require a source of carbon. This is typically obtained from CO2, but, may also be derived from simple organic compounds (such as photosynthetic intermediates). 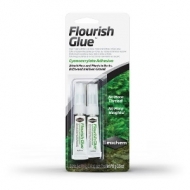 Therefore, one can derive a substantial benefit with the use of Flourish Excel™ either alone or in conjunction with CO2injection.